Tired of doing the same basic stitches over and over again? 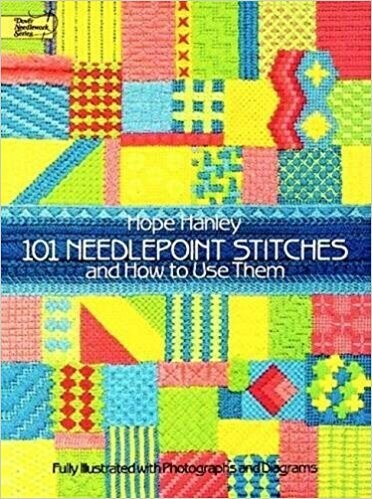 Noted designer Hope Hanley can help you bring new excitement and beauty to your needlepoint in more than a hundred different ways. In this practical, extremely well-organized guide she presents a treasury of 101 decorative stitches, with an easy-to-read chart and an actual-size photograph for each one.